Winter Park Drug Defense Lawyer – There is a growing number of reports of people displaying bizarre behavior has in part been attributed to a new designer drug currently on Florida Streets called Flakka. 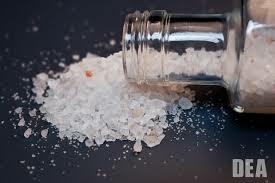 Flakka is a designer synthetic drug that can be consumed by inhaling, swallowing, injecting and smoking and can also be combined and used with marijuana, cocaine and other drugs. There have been reports of Flakka users in South Florida hallucinating, attempting to break into a local police station and running naked through the streets. Flakka is most typically made from the chemical alpha-PVP, which is a synthetic version of the amphetamine-like stimulant cathinone. Cathinones are chemicals derived from the khat plant grown in the Middle East and Somalia, where the leaves are frequently chewed for a euphoric buzz. Florida Drug experts are concerned that this new drug is the next step in progression from MDMA and will make it on the party scene where younger consumers will become users. “Snacking,” the act of taking more and different drugs while already high is of particular concern to health officials. Like other synthetic drugs, Flakka is often produced in China where standards are considerably lower. The Winter Park, Florida drug defense attorney at TILDEN LAW – rated A+ by the Better Business Bureau. Winter Park Theft Drug defense Lawyer, Fleet Tilden has 20 plus years experience successfully defending clients in Orange County drug crimes, Altamonte Springs drug possession, and Winter Park drug possession cases. If you or a loved one wishes to have their Sanford drug case or Orlando drug case dismissed Contact TILDEN LAW for a free and confidential case evaluation to determine your best defense in combating your Winter Park drug possession case, 407 599-1234.